In today’s fast paced tech-savvy world, video is the most powerful tool in your marketing team’s disposal. Quality video is the future of online content sharing. In fact, according to Syndacast, 74 percent of all Internet traffic in 2017 will be video streaming. You, of course, probably subconsciously understand this. Think about the video tutorial you may have watched when installing a new software tool, or the ad you streamed off Twitter. Or even think about that funny cat video you were watching before your boss walked by your office. Whether you think about it or not, the way you consume content is increasingly through streaming video. Your customers are the same way. 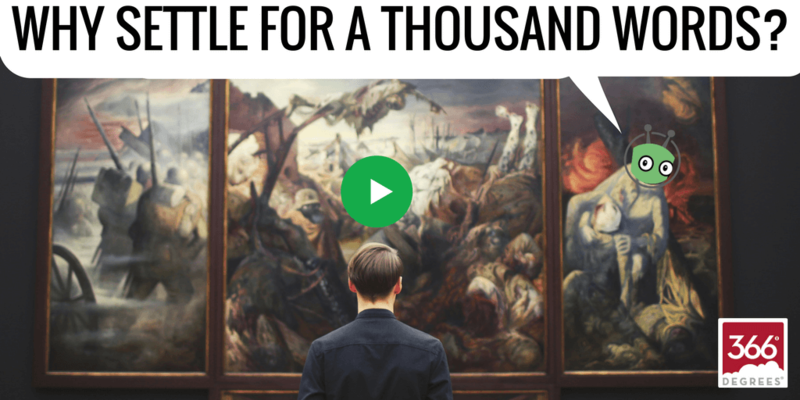 The fact of the matter is, if you’re not engaging your leads with video, you’re falling behind already. Industry leaders across the public and B2B sectors are harnessing the power of video and killing it. These companies include Salesforce, Intel, Volvo, Squarespace and more. To level the playing field and allow you to hang with the big guys, we here at OMI have earned up with Vidyard to give you the power to leverage video in a big way. 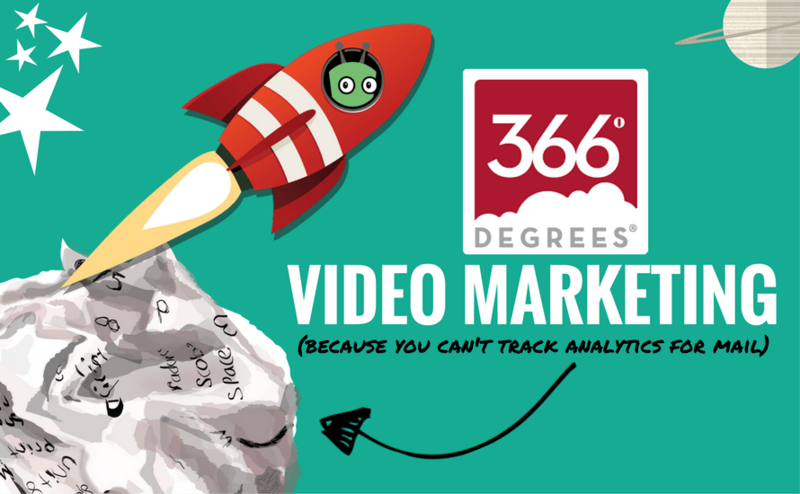 366 Degrees is our flagship marketing automation program here at OMI. 366 Degrees allows you to seamlessly create beautiful content in seconds, whether it be for a landing page, an email, or a social media post. From there, you can schedule your multi-channel content to go out whenever you’d like. All interactions your leads have with your content is automatically pushed back into the CRM program of your choosing. Now, through our partnership with Vidyard, you can now embed video into your emails, social posts, and landing pages. Then, use Vidyard to track analytics for your video and see how your leads interact, how much they watch, and more. By dropping a video into an email, you’re already guaranteeing yourself a better response rate. In fact, the guys over at dreamgrow.com found that “an introductory email that includes a video receives an increase click-through rate by 96%!” By leveraging 366 and Vidyard, you can track your leads’ interaction with the video and the email. From there, 366 allows you to follow up depending on what the lead does with your content. For instance, those who watched the whole video may receive one follow up email, while those who didn’t open the email will receive a different campaign email entirely. This allows you to pursue those who show interest, and chase after those who don’t. 366 also allows you to create dynamic landing pages to engage visitors to your site and let you gain valuable contact info to add visitors to mailing lists. But plain old contact data fields are boring, and tend not to get fills. According to invisia.com. by adding a product video on your landing page, you can increase conversions by 80%. Also, video engagement can be a direct link into sales. Wyzowl.com found in several studies that 74% of users who watched an explainer video on a landing page subsequently purchased it! One of the issues for SMBs transitioning into the digital area is chasing after social media success. You can have some awesome content but if only your followers see it, you’re only preaching to the choir. However, using videos exponentially increases your chances of your followers sharing your content to broader audiences. The same Wyzowl study found that 97% of consumers would gladly share branded videos if they were quality content. You got the content, 366 and Vidyard have the way to get it out, and track your results to boot. If a picture is worth a thousand words, think about how much a video shared by 366 and tracked and supported by Vidyard is worth. SMB Video Marketing is blasting off. Hop on board.